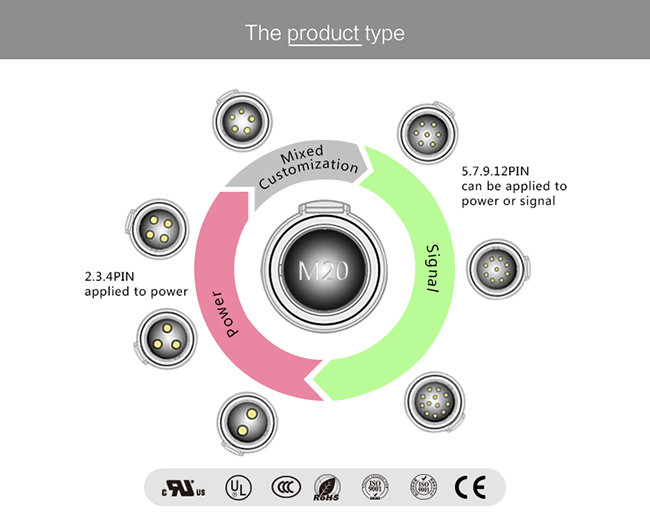 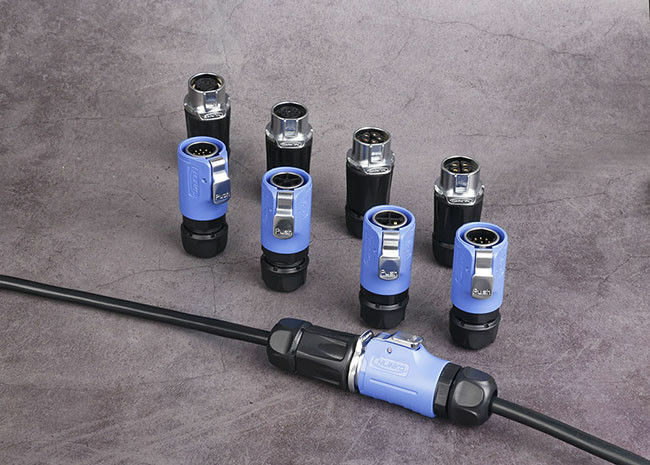 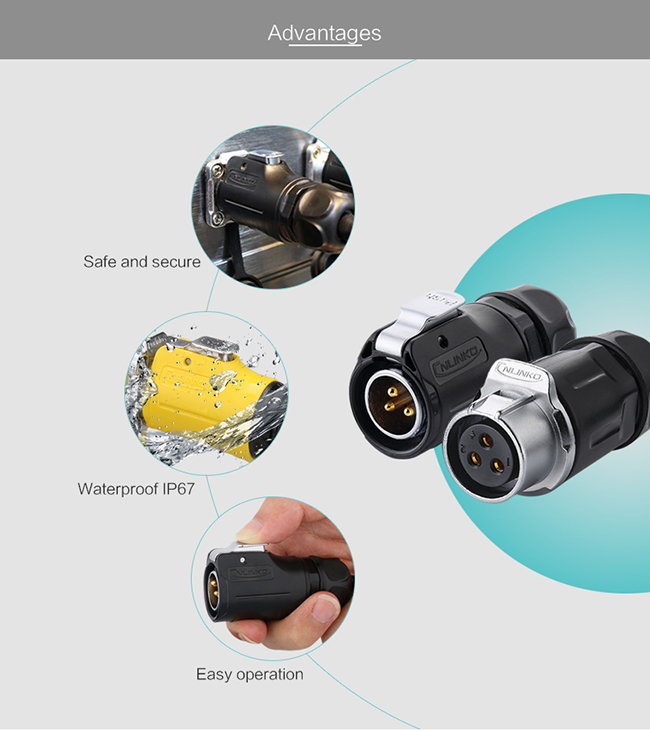 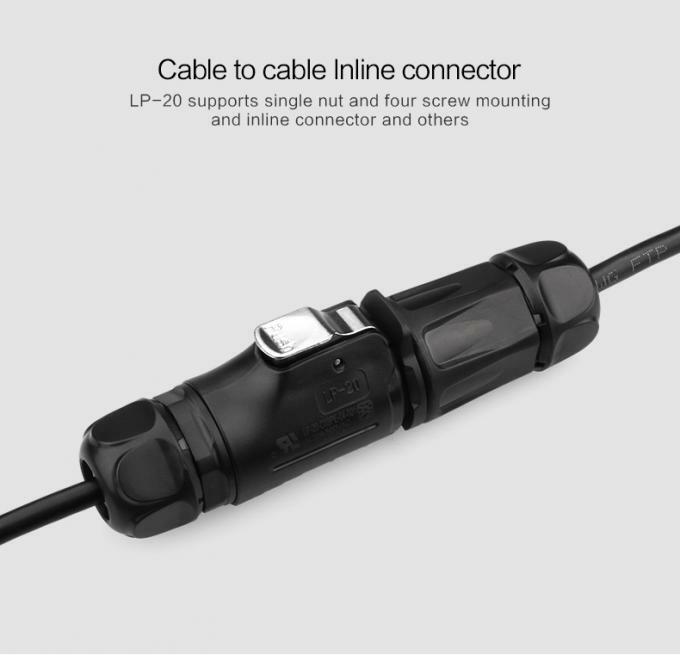 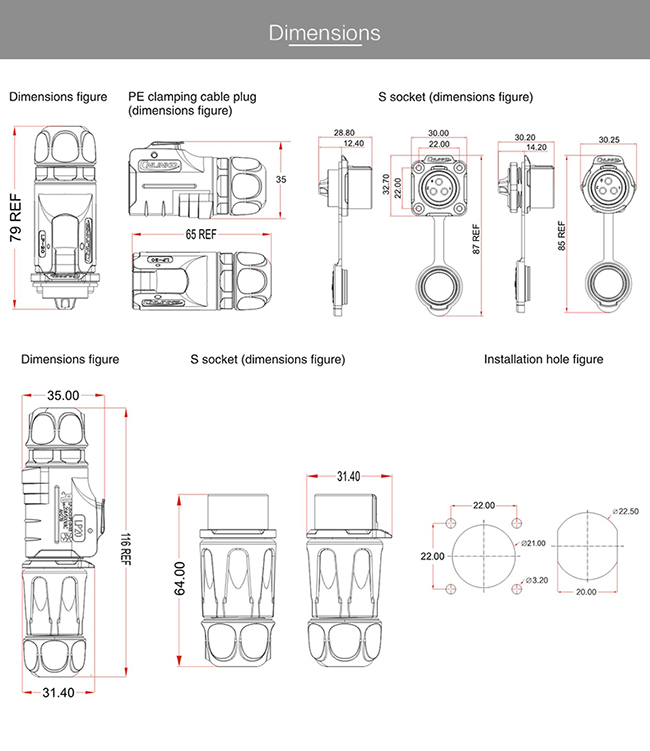 LP-20 Series connector is widely used in variety of challenging environments due to its high precision, high quality automatic inserton, self-locking devices and waterproof, In LED screen, audio visual equipment, medical equipment, industrial control, testing and measurement equipment, AV system and others. 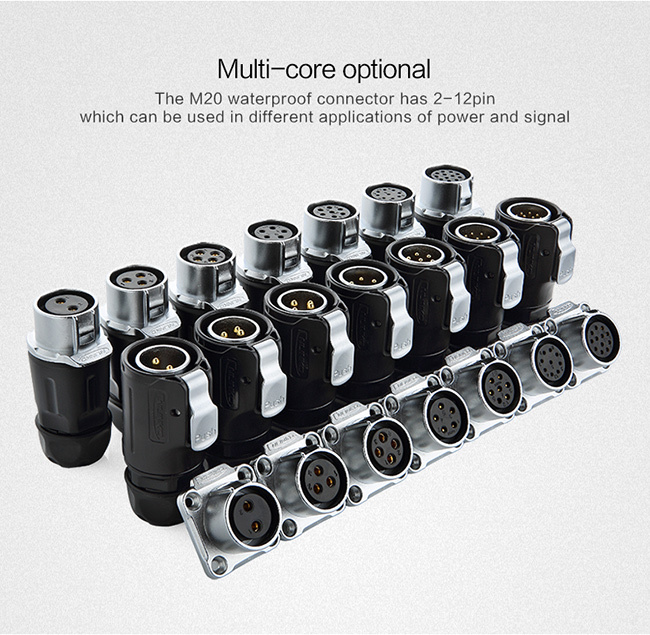 With multi-core design to fit with different industrial needs. 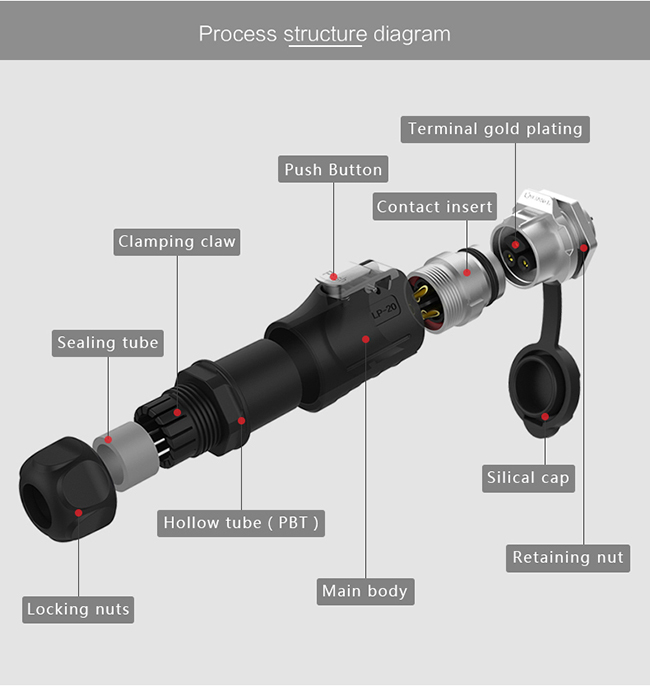 Alloy metal socket is with fully electromagnetic and radio frequency interference protection. 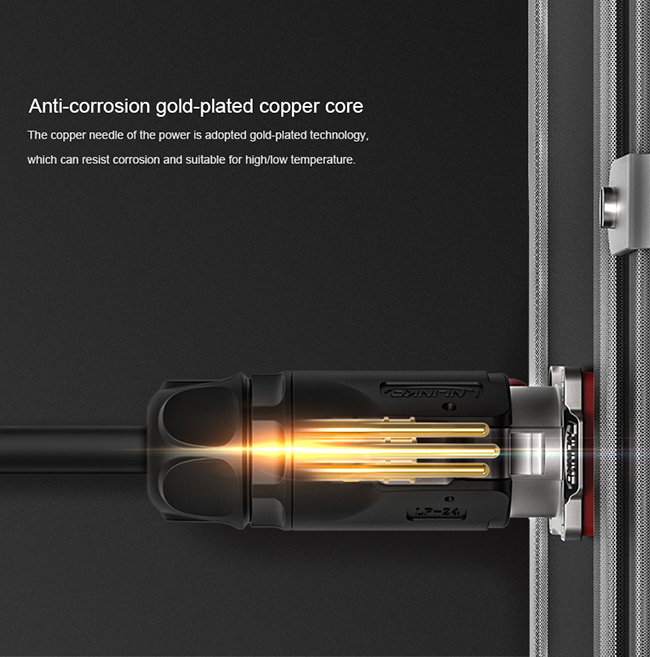 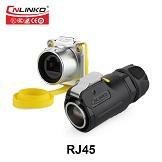 With Gold-plated contact, Stronger corrosion resistance and conductivity. 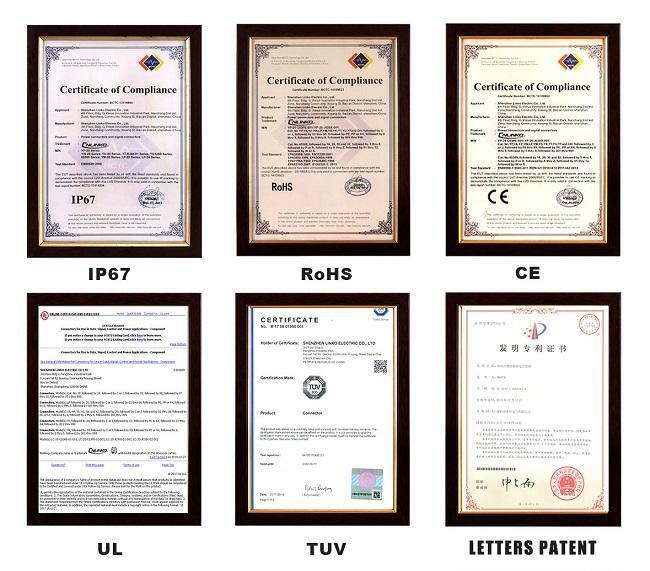 PBT materials shell, stable electrical performance, pressure-resisting, high temperature resistance, anti-explosion, anti-corrosive. 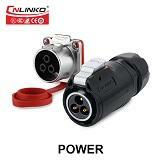 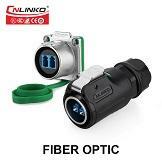 2/3/4/5/7 pin for power, 9/12 pin for signal, power and signal can be compatible match. 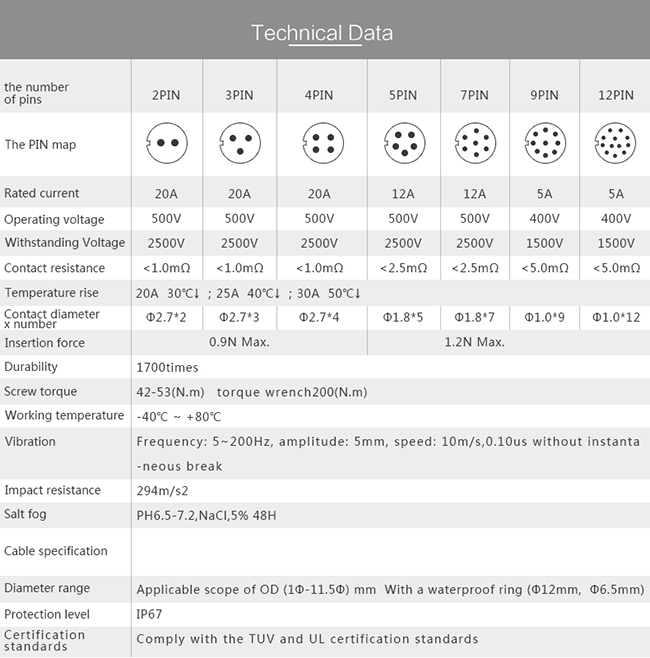 Please indicate if you need the protection level more high.